The other night, my mom was talking about this new yogurt product which my niece really liked. She's quite hard to please and has only a few snacks in her list of things to eat. So I checked the fridge to try out some. It turns out, it's the Nestlé Fruit Selection yogurt with jelly added! I've always been a fan of yogurt because it's both good and healthy (with live microorganisms). 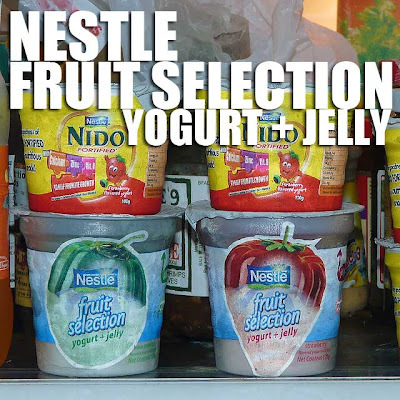 And it was good Nestlé introduced a new twist to snacking by adding jelly to its already yummy yogurt. We always have Nestlé Fruit Selection yogurt stocked in the fridge. So this will be a new addition to our snacks at home. 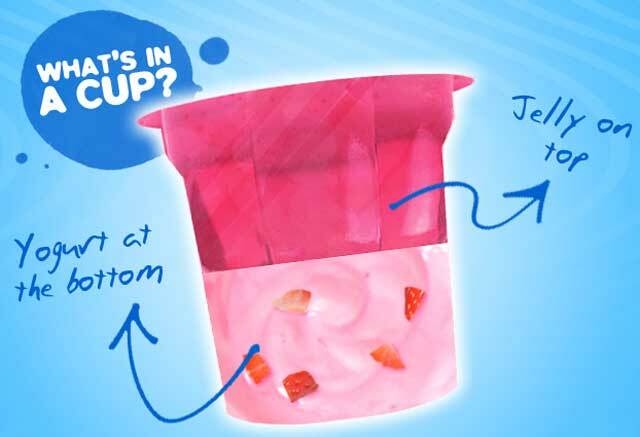 It's actually jelly on top and Nestlé Fruit Selection yogurt at the bottom. Right now, it's available in Strawberry and Buco Pandan flavors. I personally liked the Buco Pandan flavor since it reminded me of one of my favorite desserts which has buko, pandan jelly and cream. But I hope they add more flavors and include my favorite Berry Mix Medley in their Nestlé Fruit Selection yogurt with Jelly line-up. I saw my niece liked the strawberry flavor a lot and she always asks for some every afternoon. 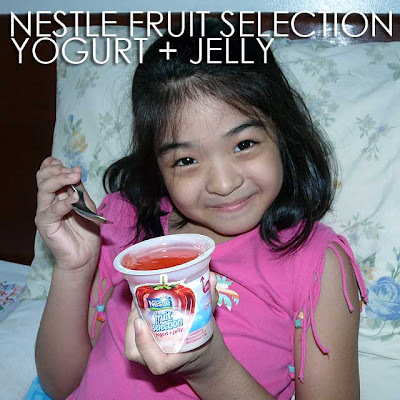 Looks like I'll stock up on Nestlé Fruit Selection yogurt with Jelly, perfect for a snack when I get really hungry! And it will be a very important ally as I try to move towards more healthy eating. Now here's something I also found out. There's this amusing game called the JellyGurt Bounce Game which went live yesterday, September 6, 2010. I actually got to try it and it's a good distraction in moments of stress. It's integrated with the NFSY Facebook fan page. For the next 8 weeks, five weekly winners will get prizes like two movie passes per winner, Sodexho and Adidas P500 gift certificates. So click that like button on the NFSY FB fan page since this is where you can play the game and join the contest. Good luck!